Bundesliga | Klopp triumphs over Tuchel in Noveski testimonial – as it happened! Klopp triumphs over Tuchel in Noveski testimonial – as it happened! 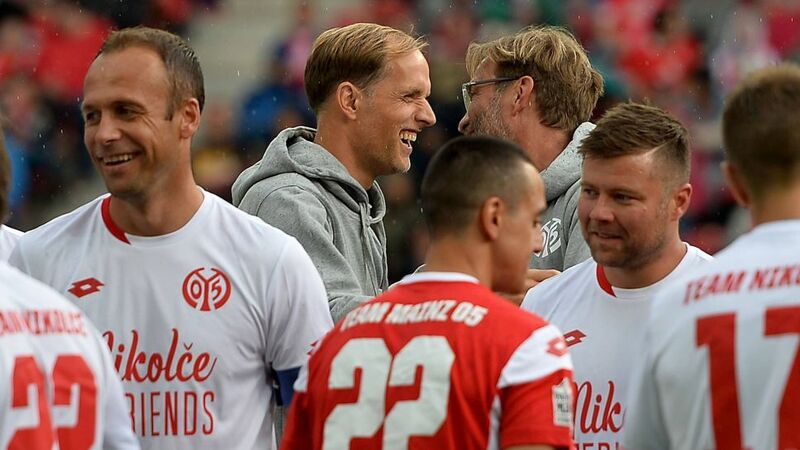 Liverpool head coach Jürgen Klopp got the better of former Borussia Dortmund boss Thomas Tuchel on Saturday as the duo renewed acquaintances at their former club Mainz for Nikolce Noveski’s testimonial. It proved to be a thoroughly entertaining afternoon at the OPEL ARENA. Relive the action below!